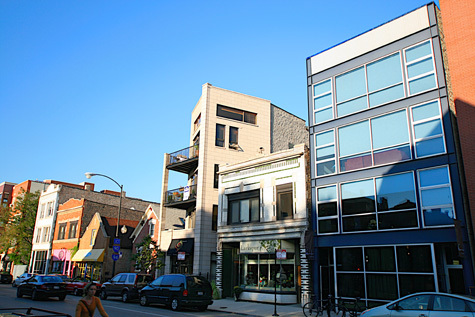 Bucktown has popular dining establishments that attract people from all over the city. Trendy restaurants and independent shops and intersparsed within the classic neighborhood spots and unique artists' galleries. This is an eclectic and excisting community of Chicago. Remnents of the early Polish settlers can be see oin the Bucktown's real estate, which includes one hundred-year-old buildings, cobblestone paths and churches. Ordinary cottages have been replaced by refurbished condominiums. Modern architectural designs are found next to vintage dwelling that line the urban blocks of this near northwest side neighborhood. A number of the properties in Bucktown offer features like granite countertops, stainless steel appliances, hardwood flooring, balconies and rooftop patios.